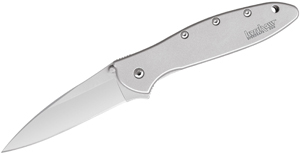 We have carried White River Knives at the KnifeCenter since 2012 when we first saw them at BLADE show in Atlanta. We were impressed with really their products due to the top-of-the-line materials and high degree of manufacturing quality. 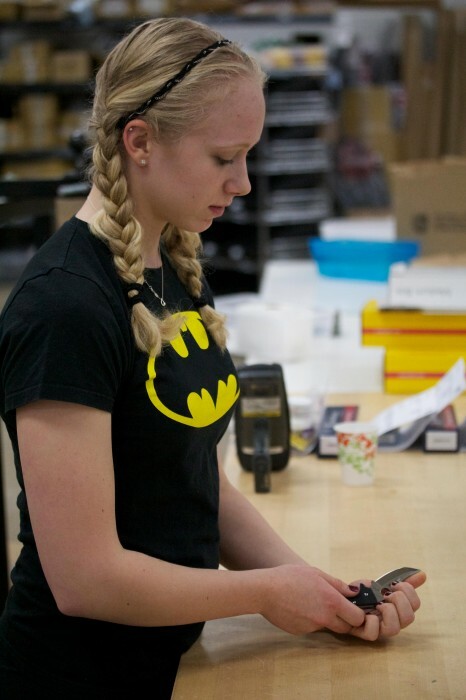 White River uses some of the most advanced machinery in the industry and their experience in manufacturing precision tools is matched by only a few manufacturers. They have come up with products that are really second to none in design features and are some of the best we have seen in terms of quality of fit, finish, and materials. They continue to impress with the new 11″ Flexible Fillet Knife available at www.knifecenter.com. 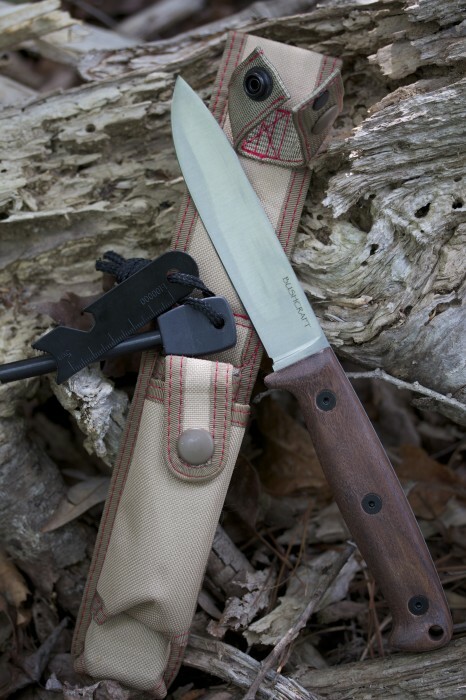 What a comfortable handle the new Bushcraft Field Knife from Ontario has. 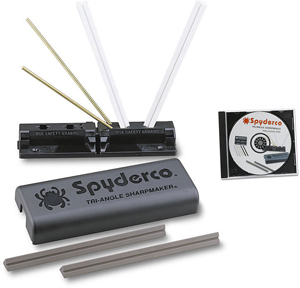 It’s great for long periods of use when your cutting, splitting, whittling, creating fuzz, etc. A simple, strong blade design and a comfortable handle is really all you need in a knife. This comes with a durable nylon belt sheath that does its job well and has an accessory pouch for the included fire steel and striker. And the best thing about this knife is it’s made in the USA. We have carried White River Knives at the Knifecenter since 2012 and have been impressed with their products from the start. This company has access to very advanced machinery and experience in manufacturing precision tools that few companies, even large knife manufacturers, can match. They have come up with products that are really second to none we have seen in terms of quality of fit, finish, and materials. White River Knives has models that seem faintly similar to other knives from around the world because they take the best qualities of modern tactical knives, Finnish Puuko knives, various Fillet knives and put their own unique stamp of American design on it. Then they produce them out of the most modern and top quality materials. 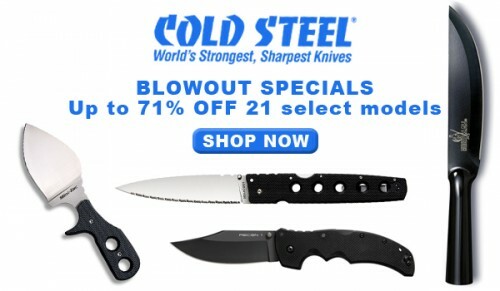 These are not bargain basement items, but quality items rarely are and White River Knives are all a good value. 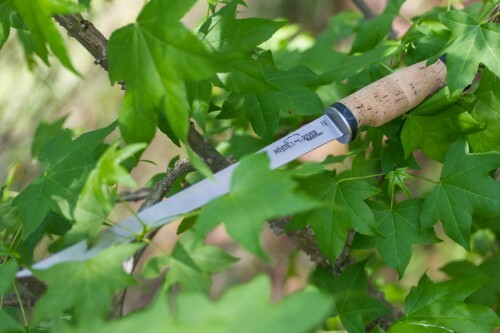 If you own a White River product, you have one of the finest knives produced anywhere and you should be able to own it, use it and pass it on to future generations just as you would other great knives of the world. 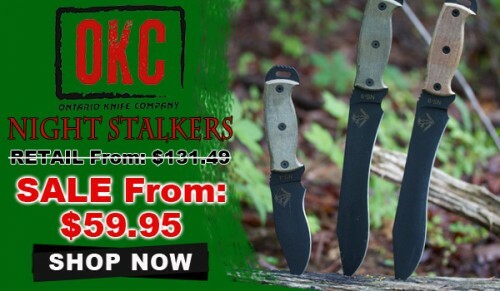 KnifeCenter started with this company very early in their existence. 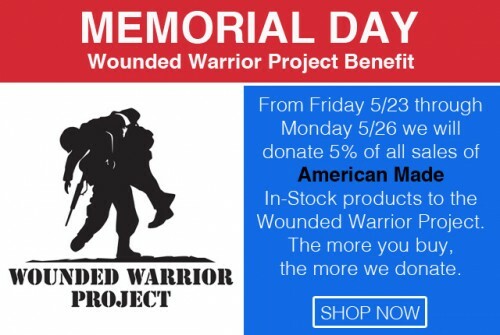 We recently increased our offering to include all of their models. These are great knives, made in Michigan to exacting standards by great folks that we are honored to work with. 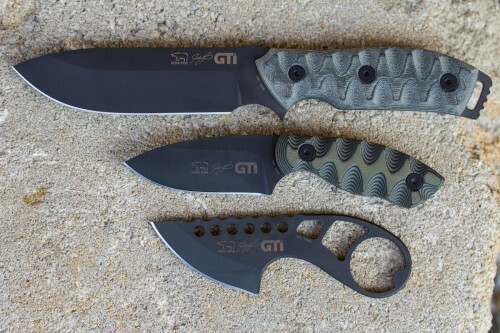 White River Knives has collaborated with Justin Gingrich of GTI to produce this series of tactical/survival knives. Justin was a U.S. Army Ranger who served 10 years active duty. He is now a bladesmith and provides instruction in patrolling, demolitions, shooting and CQB techniques through Gingrich Tactical Innovations. This line of White River/GTI knives are designed by Justin to help you prevail in any situation. 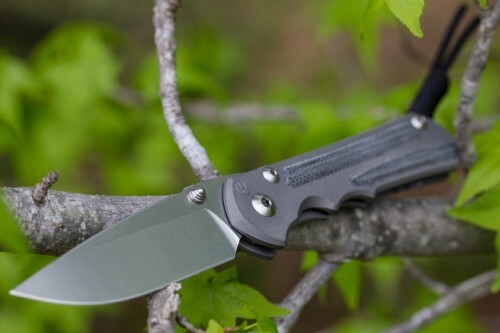 The smallest of the three knives with a 2.5″ S35VN blade. This knife comes complete with ionbond coating, bottle opener, and a USA made custom Kydex sheath. The medium size of the three knives with a 3″ blade. This knife comes complete with ionbond coating, G10 handle scales, and a USA made MOLLE compatible leather sheath. 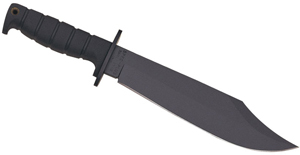 The largest of the three knives with a 4.5″ blade. This knife comes complete with ionbond coating, G10 handle scales, and a USA made MOLLE compatible leather sheath. You have to see this Spyderco Battlestation Folder. 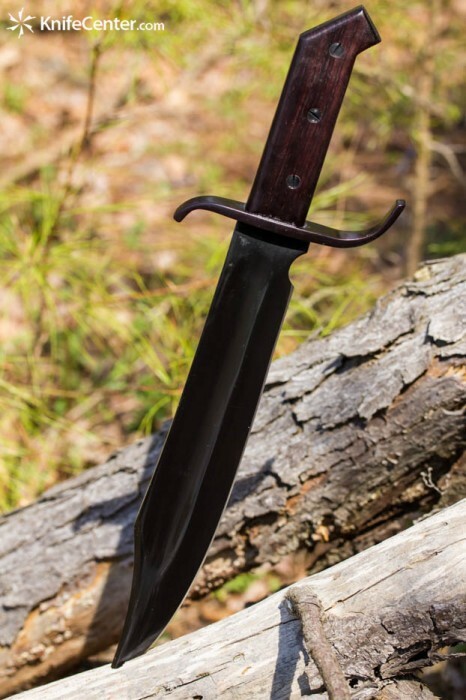 The Cold Steel 1917 Frontier Bowie may not be the prettiest piece in the collection but it will be one of the hardest working, that’s for sure. It’s a 1/4″ thick piece of nicely tempered 1055 carbon steel so you know it will stand up to any kind of use. The handle is beautiful rosewood and you’re prevented from sliding forward onto the 12-1/4″ blade by an over-sized “S” guard which can also be used as a place to rest your thumb during fine cutting tasks. The sheath is an excellent, quality design made of leather and it provides very adequate retention on the knife. This is a great value for such a ferocious cutter, check it out at www.knifecenter.com.